What is the over the counter market? The over the counter market, known as the OTCBB, which stands for Over The Counter Market Bulletin Board, is a regulated quotation service that displays real time quotes, last sale prices, and volume information in over the counter equity securities. An OTC security is any stock that does not trade on Nasdaq or a national securities exchange. OTCBB stocks include national, regional, and foreign equity issues, warrants, units, American Depositary Receipts and Direct Participation Programs. The OTC market was started in June 1990 on a trial basis as part of a wide range of market reforms that were taking place at the time. The aim of the market reforms was to make the OTC equity markets more transparent. The Penny Stock Reform Act of 1990 mandated the U.S. Securities and Exchange Commission to institute an electronic system that would abide by the rules of Section 17B of the Exchange Act. The purpose of the new electronic system was to enable the spread and circulation of price quotes and trade transactions. This system enables anyone form the largest firm to the smallest investor to know how many trades are taking place in a stock, the direction of the trades, buys or sells, and the volume in real time. In April 1997 the Securities and Exchange Commission approved the operation of the OTCBB on a permanent basis with some modifications. Even up to that point OTC quoted companies were not responsible to file quarterly and yearly financial reports. Due to the lack of the reporting requirement it became increasingly difficult to research a company. Many companies traded without having to file any financial information. An investor would have to rely on press releases and communication with the company for all information. It became very difficult to verify a press release since the releases were vague and left allot to the imagination. A company could issue a release saying that they grossed $15 million dollars in the third quarter. Now that number sounds exciting but we do not know what their expenses were for the quarter. We also do not know the size of the company’s debt, or even when the debt needs to be paid off. Many investors would see the release and jump to conclusions only to find that the company sent out another release later on announcing that they had a severe cash flow problem and were looking for to raise funds. The flip side also took place where many investors stayed away from what could have been a lifetime opportunity due to the lack of information. Many companies issued positive releases but were ignored by investors who could not find the financials they were looking for. To alleviate this issue the Securities and Exchange Commission approved the OTCBB Eligibility Rule. The Eligibility Rule dictated that all non-reporting OTC companies already trading on the OTC market would have to report their financial information to the SEC, banking, or insurance regulators in order to meet eligibility requirements. A phase in period was set for all trading companies starting in alphabetical order from the beginning of July 1999 to June 2000. As the phase in date for a company passed if the company had still not reported its financials the ticker symbol would receive an extra ‘e’ added. A symbol would now carry an extra ‘e’ at the end letting investors know that the company had not reported its financials. The non-reporting company was then given 30 days to report. If the company did not report in that 30 day grace period the stock was delisted from the OTC and moved to the pink sheets. The benefit of this rule is that as of now any stock traded on the OTC market has publicly available financials. The financials can be accessed through Edgar or through other financial databases. The benefit of this is that in the past a company might have been able to work in the shadows without limited oversight. The company could put out ambiguous press releases with little concern over the accuracy of the announcements. Now that every OTC company needs to file financials with the SEC they are forced to hire accountants and lawyers who are familiar with all the requirements. The management of the public company will go out of its way to make sure that its financial statements are accurate and precise. The SEC would not hesitate to suspend trading in a stock that it suspected of fraud. A suspension would be the smallest of their problems since the SEC would not let any a company off the hook if it participated in fraud. The strict requirements imposed on public companies are quite advantageous for the average investor. Instead of having to guess the condition of a financial company all the investor needs to do is call the company and request their latest financials. The company then has the obligation to open up its books and ensure that the investor has access to its most current filings. And now that the deadline has passed for all public companies to be fully reporting the investor can be rest assured that any OTC traded company is filling. The OTC Bulletin Board market provides access to over 6500 different companies. It is estimated that one third of them will remain on the OTC market after meeting the eligibility requirements. As is often the case, many of the companies that do not meet the requirements and are moved to the pink sheets will file at a later point in an attempt to move back to the OTC. The OTC market consists of more than 220 Market Makers (as of Oct. 2006). The Market Makers are the dealers who compete to buy and sell your shares. They set their own bid and asks for the stocks traded on the market. Most OTC stocks trade for under a dollar and never experience any large publicity. But once they do experience a moment in the spotlight you will see many, sometimes thousands of investors, rushing to buy the stock. The difference between the OTCBB market and the Nasdaq is that OTC companies do not have listing standards. The Nasdaq has very strict qualifications for letting a company list its stock on its exchange. 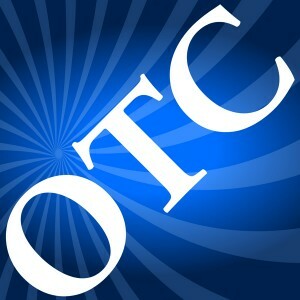 The OTC allows any company that files its statements to trade on its market. The Nasdaq requires a company to meet asset and revenue criteria while an OTC company does not need to have any assets or revenues. Many Nasdaq companies that fall into financial hardships are often removed from the Nasdaq due to their inability to meet listing requirements. Once their share price falls and stays below a certain price thresh hold for an extended period they are removed from the Nasdaq and then resume trading on the OTC market. The most important difference between them is probably that the OTC market does not provide automated trade executions. It is up to the Market Maker to decide if he wants to buy your stock. He can sit and wait and watch the direction of the market or he can simply decide not to buy it. For more data you can visit the OTCBB Market Statistics. Want to start trading in the OTC Market? The first step is to analyzing a company you want to invest in. The best way to do so is to take a step inside and pretend that you are its auditor. By printing out a copy of the company’s financials you will now know just as much about them as their own auditor. That is as long as you learn how to read the financials. Information about stock investing provided by Qwoter Stock College.